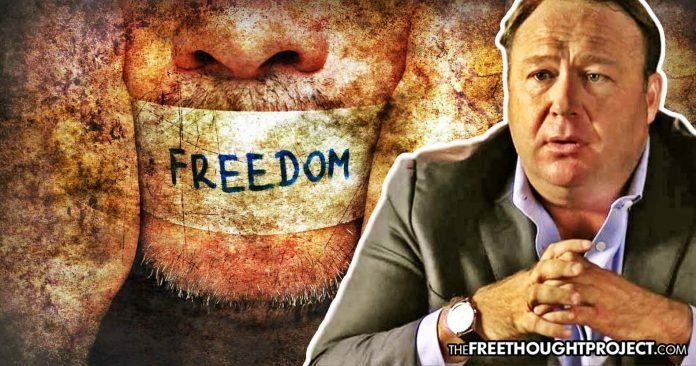 The coordinated attack on Alex Jones sets a dangerous precedent that could be used to wipe out all independent media by Big Tech. While the thought of silencing this loud mouthed Trump-pumping Islamophobic blowhard may be appealing to you, the effects of such a coordinated move and ability of of these corporations to silence him are chilling. But, it wasn’t the divide and conquer and hate peddling that got the attention of of these social media giants. It was when Jones challenged a politician to an imaginary political gun fight that sparked the ban hammer.